Recognizing outstanding school administrators, teaching staff, and faculty for producing exemplary outcomes with the Capturing Kids’ Hearts process. Education heroes deserve recognition and we believe in celebrating the exemplary outcomes in schools where processes are Capturing Kids’ Hearts. Because of the rigor of our evaluation process, the Capturing Kids’ Hearts National Showcase Schools award is both a high aspiration and a potent resource of practitioner knowledge. Capturing Kids’ Hearts campuses across the country are considered for this award. Those campuses that have most of their classrooms living the Capturing Kids’ Hearts processes qualify for submission. We are proud to recognize the outstanding educators who have dedicated themselves to making a difference in the lives of our children. As we identify these outstanding schools and educators each year, please join us in celebrating some of the most skilled and effective educators in the country! 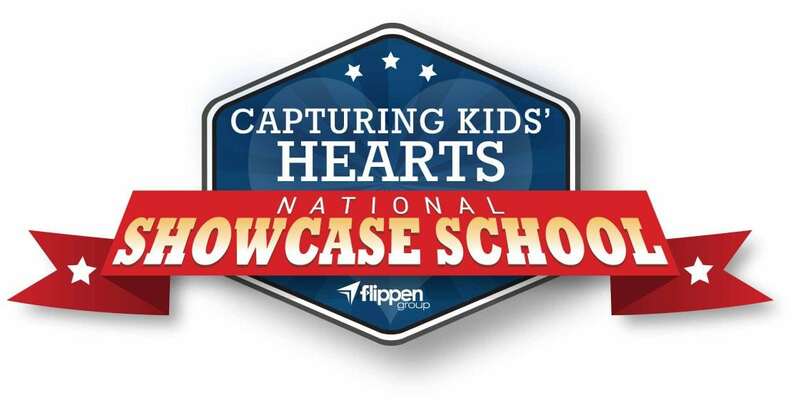 COULD YOUR CAMPUS BE A CAPTURING KIDS’ HEARTS NATIONAL SHOWCASE SCHOOL? Contact us if over 75% of your campus has participated in Capturing Kids’ Hearts processes and the campus is seeing measurable increases in attendance, advancement rate, climate/culture, and academic performance, as well as decreases in discipline referrals.